My research interests lie in the area of microbial interactions with chemical contaminants and nanoparticles for applications ranging from ecotoxicology to biodegradation to disinfection. Bacteria and fungi serve as useful indicators of potential toxicity to higher organisms and ecosystem health, but they can also detoxify a variety of environmental pollutants. Conversely, antimicrobial materials can be used for disinfection applications. My laboratory pursues research projects employing microbiological, molecular biological, and isotopic tools to (a) characterize microbial communities in engineered and natural environments, (b) optimize biological processes to improve the performance of wastewater treatment or bioremediation systems, (c) explore production of biofuels from industrial wastewater, and (d) investigate mechanisms of transformation, toxicity, and trophic transfer of nanoparticles. Thus, a comprehensive study of the implications and applications of the biotechnology and nanotechnology revolutions will enable us to use their benefits without environmental and public health liabilities. National Science Foundation Faculty Early Career Development (CAREER) Award (2013-2018). DuPont Young Professor Award (2013-2016). Northrop Grumman Excellence in Teaching Award (2013). PopTech Science and Public Leadership Fellowship (2011- 2012). University of California Hellman Fellowship (2011- 2012). Excellence in Review Award, Environmental Science & Technology (2011). Chi Epsilon National Civil Engineering Honor Society (2011). 10 Trendsetters of 2010: Nanotechnology Researchers. Public Works Magazine (2010). CH2M-Hill/AEESP Outstanding Doctoral Dissertation Award. Association of Environmental Engineering and Science Professors (2008). Best Technical Presentation Award. Groundwater Resources Association of California Symposium on Emerging Contaminants, Concord, CA (2006). Corporate Activities Program Travel Grant. American Society for Microbiology 106th General Meeting, Orlando, FL (2006). Best Presentation Award. 16th Association for Environmental Health and Sciences Meeting & West Coast Conference on Soils, Sediments & Water, San Diego, CA (2006). University of California Toxic Substances Research and Teaching Program Fellowship (2001-2003). Syracuse University Center for Environmental Science and Engineering Fellowship (1999- 2001). Meng Wang, MWH/AEESP Outstanding Master’s Thesis Award. Association of Environmental Engineering and Science Professors (2016). Alexandra Polasko, New England Biolabs Passion in Science Award for Environmental Stewardship (2016). Meng Wang, Certificate of Merit, American Chemical Society 251st National Meeting & Exposition, San Diego, CA (2016). Shu Zhang, Certificate of Merit, American Chemical Society 251st National Meeting & Exposition, San Diego, CA (2016). Alexandra Polasko, Brown and Caldwell Women in Leadership Scholarship (2016). Shu Zhang, California Association of Sanitation Agencies Education Foundation Scholarship (2016). Meng Wang, Student Paper Competition Honorable Mention, Emerging Contaminants Summit (2016). Shu Zhang, Society of Women Engineers UCLA Scholarship (2016). Alexandra Polasko, Len Assante National Groundwater Scholarship (2015). Siyi (Fiona) Guo, Undergraduate Fellowship, Los Angeles County Sanitation District (2015). Peerapong Pornwongthong, Outstanding Ph.D. Student in Civil and Environmental Engineering Award (2014). Nancy Tseng, The Chrysler Foundation Scholarship (2014). Nancy Tseng, UCLA Dissertation Year Fellowship (2014-2015). Vincent Reyes, NSF Traineeship in Clean Energy for Green Industry (2014). Nancy Tseng, US Environmental Protection Agency Science to Achieve Results (EPA STAR) Fellowship (2011-2014). Nancy Tseng, Society of Women Engineers UCLA Scholarship (2014). 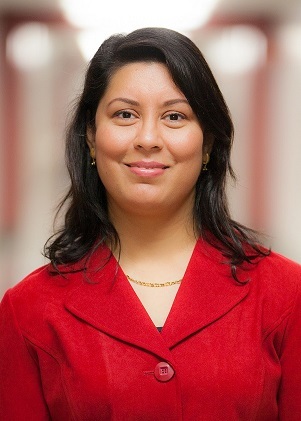 Rajani Bansal, Society of Women Engineers Phillips 66 Scholarship (2014). Anjali Mulchandani, First Place Winner at American Water Works Association CA/NV Fresh Ideas Poster Competition (2014). Peerapong Pornwongthong, Student Paper Competition Winner at Groundwater Resources Association Emerging Contaminants Symposium (2014). Nancy Tseng, Society of Women Engineers Susan E. Stutz-McDonald Foundation Scholarship (2013). Rajani Bansal, L-3 Communications Scholarship (2013). Peerapong Pornwongthong, Best Paper Prize at the Eighth International Conference on Remediation of Chlorinated and Recalcitrant Compounds, Monterey, CA (2012). Nancy Tseng, Student Paper Competition Winner at Groundwater Resources Association Symposium on Contaminants of Emerging Concern (2012). Peerapong Pornwongthong, Student Paper Competition Honorable Mention, Groundwater Resources Association Symposium on Contaminants of Emerging Concern (2012). Melissa Spitzmiller, Certificate of Merit, American Chemical Society 243rd National Meeting & Exposition, San Diego, CA (2012). Sergio Arce, 3M Corporate Research and Development Internship Scholarship (2012). Vincent Reyes, NSF Science and Engineering of the Environment of Los Angeles (SEE-LA) Fellowship (2011-2012). Amanda West, Undergraduate Fellowship, Los Angeles County Sanitation District (2011). Justin Choe, Stockholm Junior Water Prize, California winner (2011).